Hear without strain. 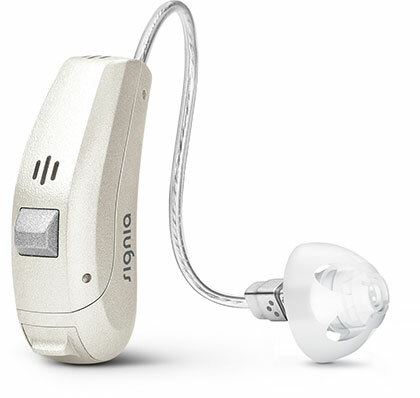 primax hearing aids single out a target speaker’s voice from background noise, so that listening effort is significantly reduced. Follow every conversation effortlessly. Many daily situations, like conversations at a train station, can present enormous challenges for those with imperfect hearing. The primax SpeechMaster function localizes the speaker of interest and reduces sound interference from the environment. A whole new music experience. 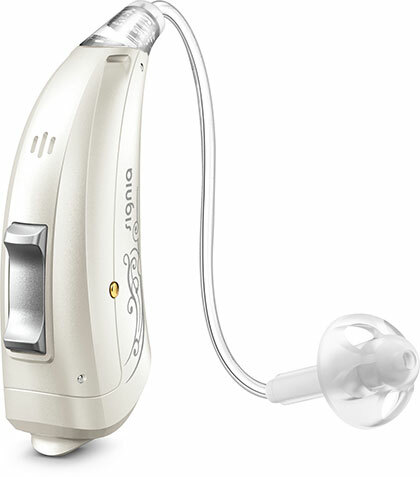 primax hearing aids feature HD Music programs uniquely designed to enrich the sound quality of music, whether it is playing live, through a stereo system, or during an onstage performance. Make phone calls with ease. As soon as the primax Twinphone feature detects a phone nearby it turns on automatically. Not only is a caller’s voice heard in the hearing aid wearer’s ear next to the phone receiver, it’s also transferred to the hearing aid in the opposite ear, ensuring a high level of speech understanding, even in noisy surroundings. Easy listening even in reverberant rooms. Rooms with hard surfaces like bare walls and marble floors reflect more sound than rooms with carpets, drapes, and similar items that reduce echo. The EchoShield function reduces interference due to reverberation, ensuring speech signals are clear and listening effort reduced. High performance, low energy consumption. High-performance chips and complex functions included in our primax hearing aids do not drain batteries, thanks to intelligent processes that reduce power drain and prolong battery life. And rechargeable hearing aid options only require battery changes an average of once a year. If you are looking for a waterproof hearing aid, our Aquaris™ BTE lets sound in while it keeps the elements out. 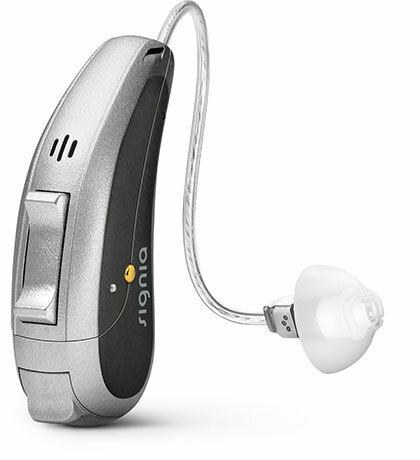 It is the only hearing aid available that is rated IP68** for being waterproof, dustproof, and shockproof. 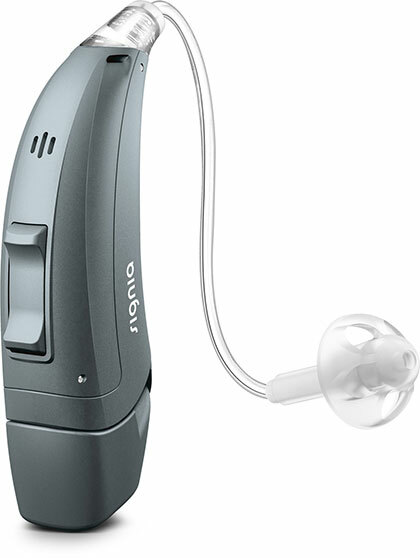 For people with severe or profound hearing loss, our Nitro® BTE and ITE super power options offer maximum amplification, wireless connectivity, and wearing comfort. For those seeking a value option, there is the Essential line of RICs, BTEs, and Customs featuring Sirion™ 2 and Orion™ 2. Besides our comprehensive line of hearing aids, we offer accessories like our eCharger™, which recharges your hearing aid batteries while you sleep. Our easyTek™ connects your hearing aids to many different Bluetooth®-enabled*** devices, like your television, smartphone, and gaming console. And our touchControl™ App transforms your smartphone into a remote control for your hearing aid settings for the ultimate in convenience and discretion. *Study conducted at the University of Northern Colorado, 2015, examined the effectiveness of the new features of primax by collecting and analyzing ongoing EEG data while subjects performed speech testing. For both primax features SpeechMaster and EchoShield, the objective brain behavior measures revealed a significant reduction in listening effort when the feature was activated. **Achieved IP68 rating per IEC 60529 standard. The device can be completely submerged with no water seeping inside, and no damage to the instrument during continuous immersion in water up to 3 feet. Also dust will not interfere with the satisfactory operation of the device. Requires appropriate earmold for submersion. ***The Bluetooth® word mark and logos are owned by the Bluetooth SIG, Inc., and any use of such marks by Sivantos is under license. Other trademarks and trade names are those of their respective owners.